Situated in the Himalayan foothills between the rivers Mahananda and Teesta, the Mahananda Wildlife Sanctuary is a true vision of beauty with its immense biodiversity, lush greenery and fantastic views of the Teesta River. It is spread over a varied terrain where the altitude is around 500ft. in the south near Sukna and rises to 4,300 ft in its northern limit near Latpanchar. Placed in the Darjeeling district, West Bengal, the Mahananda Wildlife Sanctuary can be reached from the city of Siliguri within 30 minutes. In fact, Sukna which is the sanctuary gateway is at a distance of only 13 km from Siliguri. 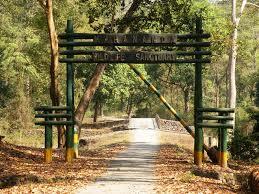 The Mahananda Wildlife Sanctuary stretches over 159 sq. km of reserve forest in the Darjeeling Wildlife division. It was established in 1955 as a game sanctuary for children. Later it became a sanctuary primarily to protect its population of Royal Bengal Tiger and the Indian bison both of which have been categorized as endangered species. The vegetation in the Mahananda Wildlife Sanctuary near Siliguri varies with the altitude. For example, it has riverine forests of Khayer-Sissoo in the lower altitude and changes to dense mixed and wet forests near the “Latpanchar” area situated in Kurseong hills. The forest area is stretched along Kalijhora, Punding, Latpanchor, Gulma, Sukna, Toribari, Sevoke, Latlong and Seventh Mile. There are about 330 plant species which have been found in the sanctuary and some of the common forest types are Khair, simul, sissoo and sal forests. Large grasslands is another common feature within the sanctuary. The varied altitude also accounts for a diverse animal species especially the mammals. Some of them include Indian elephants, Royal Bengal Tiger, Indian bison, barking deer, spotted deer, sambar, Rhesus monkey etc. Other animals which are seen here are the lesser cat species including jungle cat, fishing cat, Himalayan black bear, leopards and clouded leopards, Smaller animals like porcupines, rare mountain goat and snakes are also found in the Mahananda Wildlife Sanctuary. The sanctuary is also notable for its extraordinary bird species. There are about 243 avian species found here including the Himalayan pied hornbill, peacock, peafowl, fouls, king fisher, drongo, robin, fly catchers, woodpeckers and others . It is also a haven for the migratory birds which arrive here from the Central Asia. Jeep safaris are the best way to view the exotic flora and fauna of the Mahananda Wildlife Sanctuary with well laid forest roads covering 50 km inside the forest stretch. Watch towers near the Gulma railway station or in Laltong on the river Teesta are another option for both watching wildlife and bird watching. The best time to visit the sanctuary is October to April since the Mahananda Wildlife Sanctuary remains closed during monsoons from mid June to mid September. It will take about 13 km from Siliguri along Hill Cart Road to reach Sukna which is the entrance to the place. There is also a toy train station in Sukna. If you are coming from Darjeeling it will take about two and a half hours along the Hill Cart Road. Latpanchar, a small hamlet at an altitude of 4,200 ft. with wonderful scenic beauty is the highest and northern most area of the sanctuary. 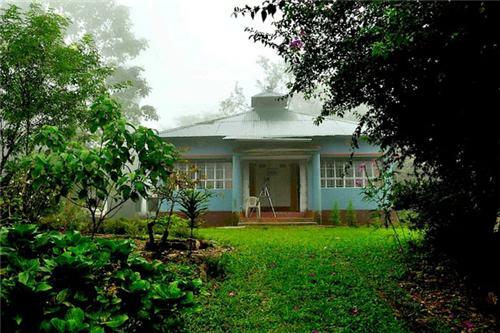 Here the tourist can avail a forest rest house as well as private home stay accommodations which are equipped with all the basic facilities. There are also two forest lodges in the Sukna region of the Mahananda Wildlife Sanctuary and can be used with permission from the forest department.